Asbestos related diseases characteristically develop over a long period of time. The first symptoms may not appear for anything from 10-50 years. Peak mortality rates are expected between the years 2010 and 2020. 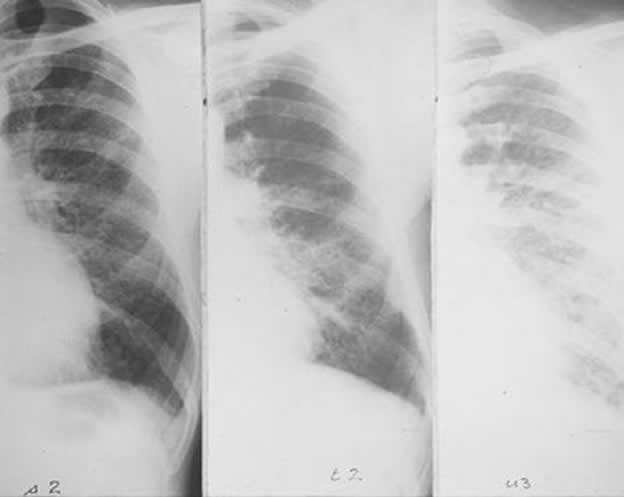 Mesotheliom cancer encompassing the lungs over a series of xrays. 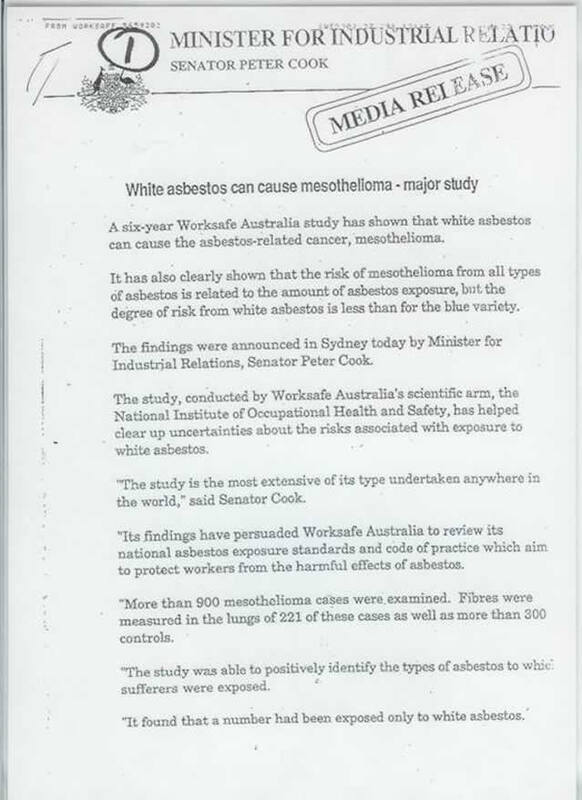 Courtesy Asbestos Diseases Society of Australia Inc. 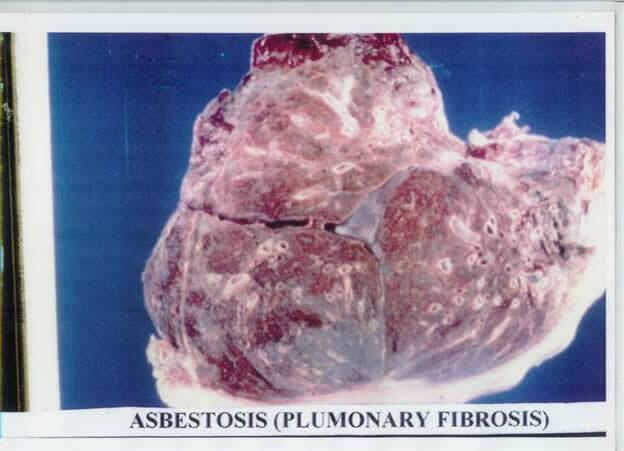 Asbestosis is Fibrosis (Scarring and thickening) of the lung tissue as the result of exposure to asbestos dust. 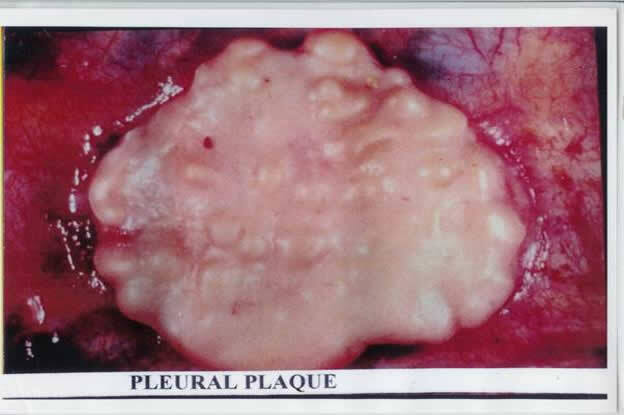 Scars continue to grow and inhibit oxygen transfer to the lung causing increasing difficulty in breathing. Lung Cancer is Very common in the general public and is the most frequent cause of death from cancer, particularly in cigarette smokers. 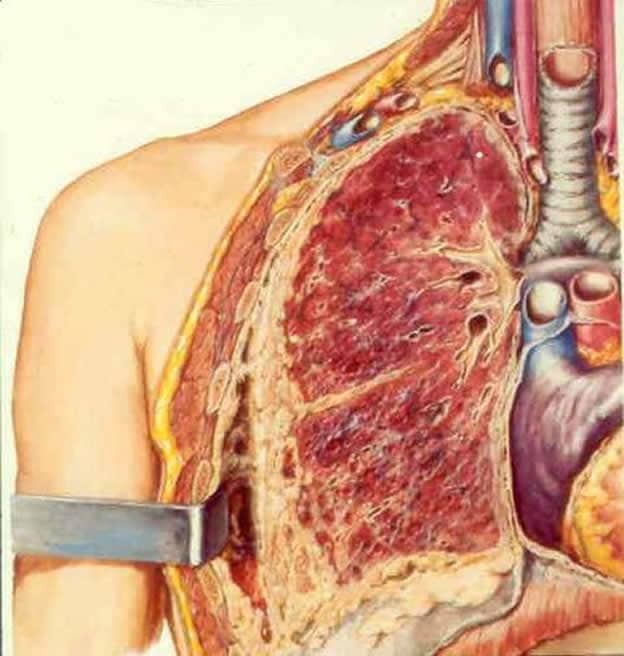 There is a close association between asbestosis and lung cancer (about 50% of people dying from or with asbestosis have a lung cancer at post mortem).